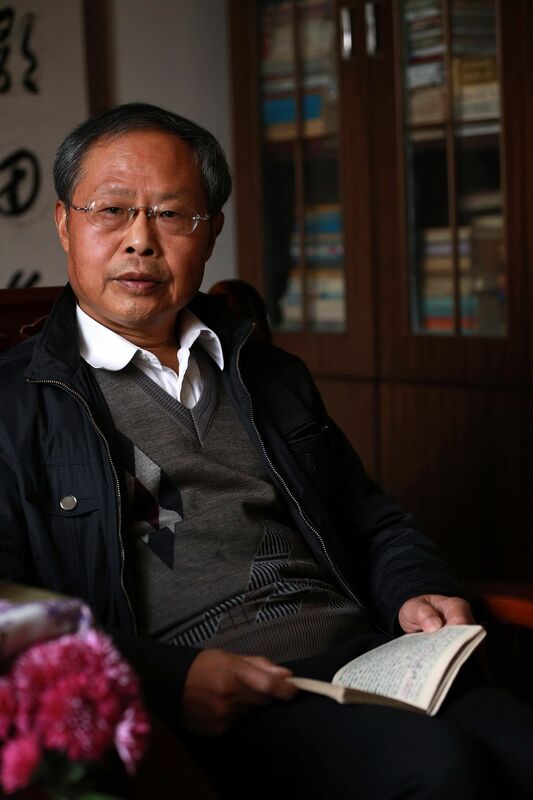 Mr Xu Xing was a 16-year-old school boy in 1972 when he wrote his first love letter – to a girl in his class – but it landed him in detention instead. Eager to impress her by showing he was not afraid to speak out, the 16-year-old criticised the sad state the society was in – full of anger and violence, and lacking compassion and tolerance. Alarmed, the girl passed the letter to a teacher, who reported him to the authorities. He was locked up for 46 days. His experiences led Mr Xu, who became a documentary-maker, to make two documentaries about the 1966-1976 Cultural Revolution. The first one, in 2006, was about his detention. The second, in 2010, was about 14 farmers who committed minor offences but were punished with lengthy jail sentences and even death. “I want to use my works to tell young people today that China cannot afford another such event (Cultural Revolution), one so unconscionable, foolish and inhumane,” Mr Xu, now 60, told The Straits Times at his home in Beijing. The Cultural Revolution remains a taboo topic in China as any discussion can show up the mistakes of the Chinese Communist Party (CCP) and diminish its legitimacy. But Mr Xu is one of a handful of Chinese trying to raise public awareness of that tumultuous decade in the history of modern China, partly also to help fend off calls for a repeat of the Cultural Revolution from Maoist followers and leftist scholars who tout its anti-corruption and anti-formalism campaigns. Another is Beijing-based lawyer Zhang Hongbing, who also wants to make amends for something he did. As one of Mao Zedong’s fanatical Red Guards in his teens, he had denounced his mother in 1970 for criticising Mao and the CCP. She was executed the same year. Mr Zhang says he believed he had done no wrong until he read a book in 1979 about a CCP member Zhang Zhixin. Like his mother, she too had been thrown in jail in 1969 for criticising Mao and the leftists and then executed in 1972. Seeing how courageous both women had been, he finally realised he had been wrong. In 2009, Mr Zhang issued a public apology on social media for the wrongs he had done in his youth. He has also been trying, with no success, to overturn public records on his mother’s death and get the court to designate her grave in central Anhui province as a permanent cultural relic. The latter, he says, is to prevent the grave and surrounding area from being damaged by construction activities. But the greater cause for the 63-year-old is using his family tragedy to show how the Cultural Revolution perverted family relations, turning spouses, siblings and children against one another. Mr Zhang believes the country cannot move forward unless it can zhi chi er hou yong, a Chinese saying meaning that a person must first admit his shame before he can have the courage to repent and reform. To this end, he says the government can do several things, such as set up an official museum about the Cultural Revolution; declassify all government files related to that period; and include the Cultural Revolution in history textbooks so as to educate future generations. He acknowledges, however, that the government has shown no inclination to do any of these things. As for Mr Xu, he plans to make a documentary to mark the 50th anniversary of the Cultural Revolution. He is aware of the difficulties ahead, since public screenings of his earlier documentaries have at times been cancelled on police orders. Hong Kong-based political analyst Willy Lam does not think the CCP will further relax media controls or hold any high-level activities on the anniversary of the Cultural Revolution. After all, the party had admitted, albeit indirectly, that the Cultural Revolution was a mistake in a 1981 assessment of Mao’s legacy that he was “70 per cent right and 30 per cent wrong”, he says. It is even more unlikely since President Xi Jinping has adopted certain Maoist practices like building a personality cult and clamping down on intellectuals, Professor Lam adds. “The party fears that a freer debate might spark similar calls for a reappraisal of other events like the Tiananmen Incident, or prompt demands for state compensation to the tens of millions of victims,” he told The Straits Times. More stories about China's Cultural Revolution here.